Muslims account for over 18% of the electorate in UP. This ensured the community had 63 MLAs in the 2012 Uttar Pradesh Assembly. In as many as 73 constituencies out of the 403, Muslims account for more than 30% of the voters. Yet, in the 2014 Lok Sabha elections, no Muslim MP could win the polls. This happened largely due to the Narendra Modi wave, which which swept UP, leaving the Muslim vote inconsequential. But will the Muslims vote en masse for a particular party this time? Here's what things look like on the ground in western UP, where the first phase of elections take place on 11 February. At his palatial haveli in Baghpat, Kaukab Hamid, the erstwhile royal and former minister in the state government, is confident that his son Ahmed Hamid will win this time. "We have the Muslims supporting us, and with the BSP's (Bahujan Samaj Party) Dalit vote base, we are comfortable," the senior Hamid explains. "It is his first election. I also started my political career when I was his age. Now I am tired and not keeping well. So I told Behenji to excuse me from contesting," he adds. In the courtyard of the haveli, the locals are ecstatic. "We will vote for the Nawab," says Liyaquat. Asked he would have voted for the BSP if it were some other candidate, he promptly replies: "No!" Manto Qureshi, a young student, adds: "Our vote is for the Nawab and the work he has done for the locals." Hamid is pitted against Yogesh Dhama of the BJP, a Jat who recently joined the party. The Samajwadi Party-Congress alliance has fielded Kuldeep Ujjwal, an SP leader contesting on the Congress symbol. He is not seen as a serious candidate. Yameen, a blacksmith in Barauli village of the Baraut constituency, says: "The RLD candidate will win in Baraut. Last time, we did not vote for the RLD as we wanted to teach Ajit Singh a lesson. Some people took advantage of the 2013 riots and won." In Baraut, the Rashtriya Lok Dal's Sahab Singh is facing stiff competition from the Bharatiya Janata Party's KP Malik, a former chairman of the local municipality. "The Muslims will vote for the RLD or the SP-Congress," Yameen says, pointing out how BJP MP and Bollywood superstar Hema Malini drew a smaller crowd than Akhilesh Yadav. "Only the youth went to see her," he chuckles. 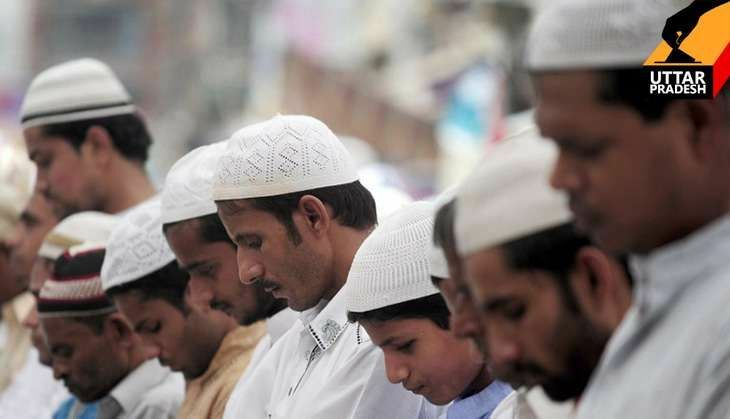 About 30-40 Muslim families have settled in the Asadpur Jidana village in the Shamli constituency. These families were displaced from Lisarh village, which was one of the worst-affected in the 2013 riots. Among these families, the consensus is to vote for the SP-Congress alliance candidate, Pankaj Malik of the Congress. "We will vote for the SP candidate. They were the only ones who helped us in the bad times," says Naushad, whose mother is among the 11 people whose whereabouts are still not known. While Naushad fled the evening the violence started, his mother decided to stay back. "She thought that nobody would harm an elderly person like her. I think she too was killed," Naushad says, as his eyes well up. The neighbourhood, built alongside a brick kiln, has only one handpump and a few makeshift toilets. "We hope if the SP comes back to power, people like me, who are yet to get any money, will be compensated," says Hasan Ali. This reporter travelled to many constituencies in the districts of Baghpat, Shamli, Muzaffarnagar and Meerut, which go to the polls in the first phase of the UP Assembly elections on Saturday, 11 February. And while the SP-Congress alliance seems to be the most popular choice among the Muslim community, one local in Kairana summed it up succinctly: "The main contest is the Muslims versus the BJP." The religion of the candidates doesn't seem to matter. And that could lead to interesting results, because it's a triangular and even quadrangular contest on several seats. Tariq Ali, a student from Bawli village in the Baraut constituency, says: "We are voting for the RLD this time, because Sahib Singh is the only strong candidate against BJP's KP Malik." In Muzaffarnagar, Tanweer Ahmed says: "Muslims here realise that SP's Gaurav Swaroop has a strong chance of winning. He lost the last time because there was a Congress candidate (who divided the votes)." Many, like Liyaqat Hasan, a Moolah Jat in Bhadeh village of Thana Bhawan constituency, are keeping their cards close to their chest. "We will decide the night before after seeing the hawa (which way the wind is blowing)," he told Catch. "The main issue for us is that peace should prevail and people should let us earn our bread." In Thana Bhawan, the contest has turned interesting, for the BJP has fielded sitting MLA Suresh Rana, a known Muslim-baiter, while the RLD and the BSP have fielded Muslim candidates. The SP, meanwhile, has fielded Professor Sudhir Panwar. Another known Muslim baiter from the BJP is Sangeet Som, who is contesting for re-election from Sardhana in Meerut. He is up against BSP's Imran Qureshi, the son of meat trader Yaqoob Qureshi, who himself is contesting from the Meerut North seat. Yasin Mir, a local, says: "The Qureshis and the Ansaris, the two main communities, are divided. The Qureshis support the BSP while the Ansaris are rallying behind the SP. So, the Muslim vote will get divided." What about Mayawati's Dalit-Muslim formula? BSP supremo Mayawati has fielded nearly 100 Muslim candidates across the state, in a bid to forge a new Dalit-Muslim combination. But it's clear that the idea hasn't got off the ground. "Mayawati calls us extremists," says Mohammad Mahtab, one of the many families from the riot-affected Laakh Bawli village, who now live in Ekta Colony in Jaula Village of Budhana constituency. As he says this, he flashes a video of Mayawati, where she is heard saying how she transferred her vote to the BJP to ensure that the Muslim extremist candidate does not win. "You cannot trust Mayawati. Who knows she may even bgo with the BJP after the polls, " Mahtab says, explaining why he would not vote for the BSP candidate, the wife of local heavyweight Muslim leader and MP Qadir Rana, and instead go with the SP. "Akhilesh and Mulayam at least visited us after the riots, gave us compensation. Mayawati and people like Qadir Rana did not even come," he points out. Mohammad Altaf, who hails from the same village and runs a salon in Shamli, adds: "Pramod Tyagi, the SP candidate, may not be as rich as Qadir Rana, but he is a better candidate." According to locals, Basi Kalan in Budhana constituency is where the 2013 riots began, after the local Muslims pelted stones on aggressive Jats, who were shouting communal slogans. In this village, the Muslims are firmly rooting for the SP's Tyagi. "Akhilesh Yadav and Azam Khan are our heroes," says Mohammad Farooq Qureshi. "You would remember how thousands of people took refuge here. Nobody came to their help except for the SP," Qureshi says, pointing to the Madrassa on the other side of the road, which sheltered hundreds of displaced riot victims. At the Harijan Chaupal in Bawli village in Baraut constituency, as the locals play cards, Mausam Ali, is the lone voice in support of the SP. "Who says the SP has not done anything for other communities?" he argues with the Dalits, who claim the SP worked only for the interests of the minorities. It seems clear that no one party will get en masse support from the Muslim community. But will their voting patterns spoil the BJP's chances on particular seats? They may, but only 11 March will reveal the answer to that.